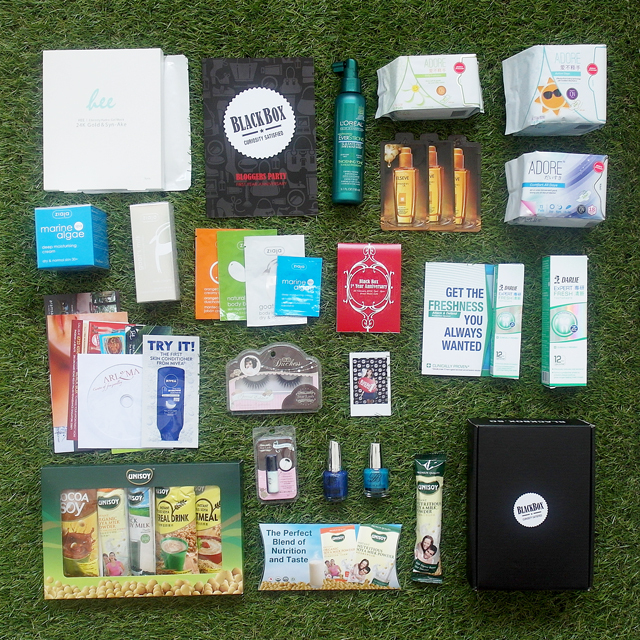 Lots of goodies from Blackbox, Singapore's first bi-monthly quintessential lifestyle kit! Everything above was packed in this huge Black Box for us to bring home! 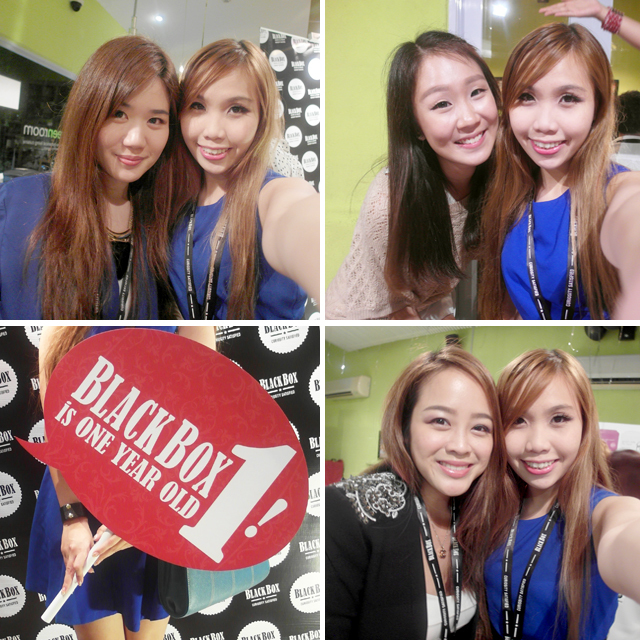 It was Black Box's One Year Anniversary and I was invited to its celebration and launch of new box design! As you can see from the above photo, the box has become more sleek and compact. I went to the event alone and am glad to meet new bloggers as well as found time to chat with afew friends that I have not met for a long time! We were brought around exhibits featuring products from brand partners and it was quite interesting to learn more about them! One of my favourite exhibit was Jacqueline Burchell's. 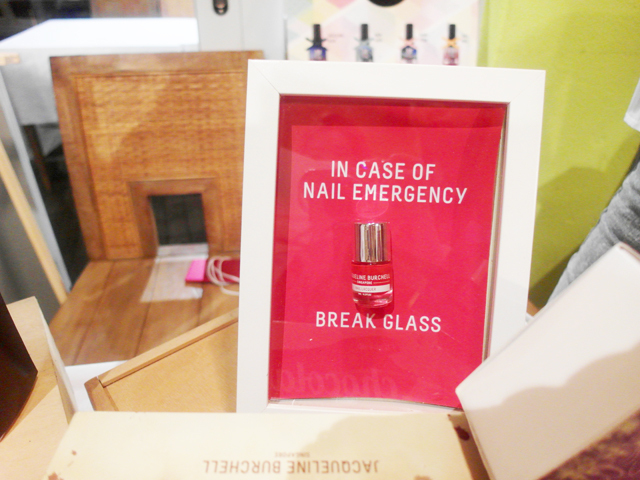 The range of nail polish are so pretty! Love the colors and creativity. One upcoming product is a type of gel that can dry quickly without UV light, plus can be removed without soak-off! 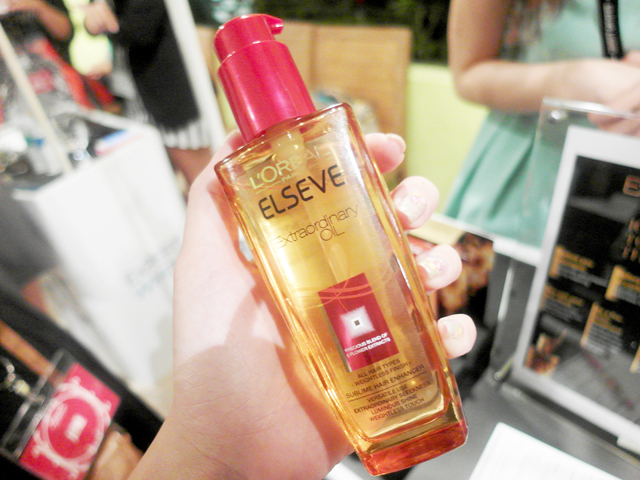 Loreal featured the extraordinary oil which was launched last year to much positive response, and another product Loreal EverStrong Hair Thickening Tonic. 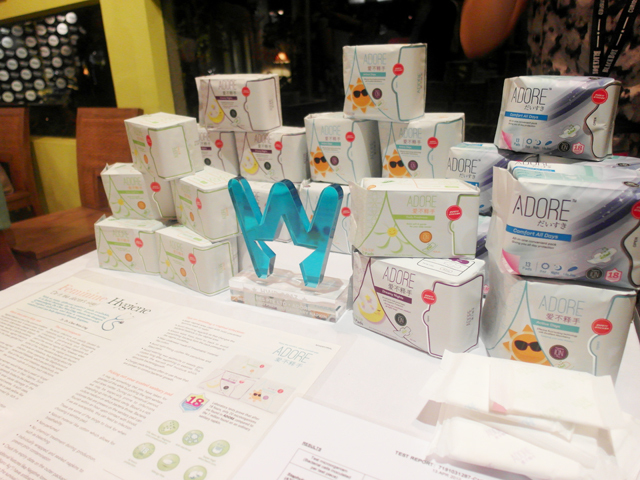 Adore pads, which won a Watsons award for its quality and absorbency. I liked how there was one pack which had all different types of pads (day/night) in it for convenience sake. Can just bring 1 pack for each travel, or use 1 pack for each month instead of opening different packs! 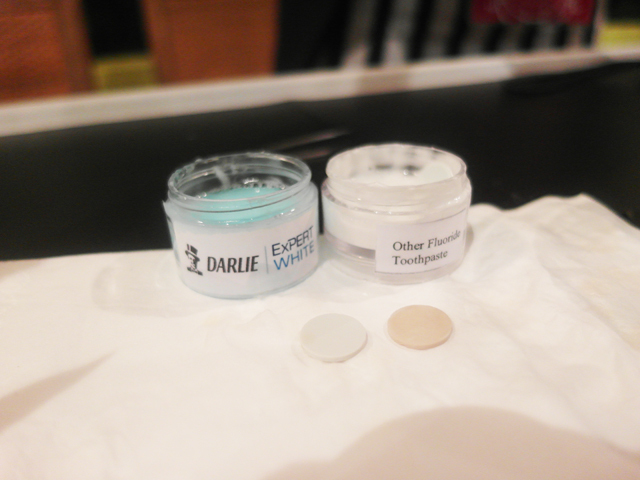 At the Darlie booth, we had a demonstration done by Yina. This shows the result of two "teeth" submerged in tea for 5 minutes. The one that was applied with Darlie's expert white before was still white and clean, while the other one is clearly stained terribly! Lots of lashes including dramatic and colorful ones at Starlash's booth! Found this nice spot for photo, right infront of a bright spot light! Haha. With Clara and Melissa! 3. Darlie Expert Fresh, the newly launched toothpaste for fresh breath! Haven't really try them, except the Unisoy Black Soy Milk, which was very yummy and easy to prepare (+lots of nutritional benefits! ), and the Ziaja products. The Marine Algae Deep Moisurizing Cream made my skin really smooth the entire day, while I tried the Goat's Milk Eye Cream when I woke up with dry skin around my eyes one day and it did reduced the wrinkles. The products are water-based, so they are gentle on skin and suitable for people with sensitive skin! I look forward to trying the Loreal EverStrong Hair Thickening Tonic, which helps to control hair fall as well as cleansing clogged scalps and the Hee Eternity Hydro Gel Mask which helps to reduce the appearance of fine lines and wrinkles, enhance the elasticity of the skin and firm up sagging skin.